After a law is made, what happens next? There was applause last year for a Colorado law allowing school personnel to administer medical cannabis to kids. This year, we've found few school districts are letting nurses help students under the new law. DOUGLAS COUNTY, Colorado — Amber Wann lives only moments away from her son’s school, but she still feels it's too far. Benjamin Wann, her son and a student at Mountain Vista High School, has epilepsy. “There is also the fear that if he has a seizure at school it would be an emergency situation and we live 15 minutes away,” Amber Wann said. Wann said Benjamin is allergic to the pharmaceutical form of a rescue drug for a severe seizure. “He uses medical cannabis on a daily basis to control his epilepsy and seizures associated with his epilepsy,” Wann said. Right now, her son takes a hemp oil supplement in the morning and evening and doesn’t need a dose at school. Should he need a dose of it there though, the district would only allow his parents to administer it. They were granted that right in 2016 with a law called “Jack’s Law,” which allows parents and other caregivers to administer the drug. It was a huge step forward for parents of children who use medical cannabis. Then in 2018, state lawmakers passed an amendment to that law, allowing qualified school personnel to administer the drug. Though the updated law allows school districts to do this, the districts have the right to make their own policy. Since the law passed, only one district in Eagle County has adopted it. Douglas County School District decided to opt out, citing the fact that cannabis is still considered an illegal controlled substance under federal law. “Right now we’re asking for an update of the policy so that school personnel could feel comfortable and know that they are protected by their school districts to do so,” Wann said. Only one school district in the state of Colorado has adopted HB18-1286 which is an amendment to the 2016 Jack’s Law. This amendment gives permission for “School Personnel” to administer non-smokeable forms of medical cannabis to student patients who have an official medical recommendation. 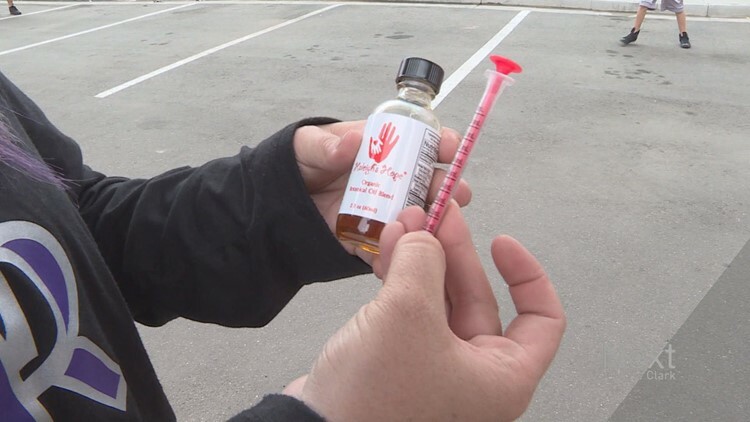 Efforts with the Douglas County School District are stalled to update their JLCDB for Administering Medical Marijuana, Hemp Oil and/or Cannabinoid Products Policy. A “Green Crayon Campaign” project is being launched to encourage the school district to update the medical cannabis policy. We are reaching out to parent’s who can benefit from this update of policy, so they can remain at work without disrupting their child’s day. Supporters as well, who want to see any pediatric medical cannabis student benefit from this update can press the issue and get an update to the policy accomplished. The school district’s current position is to not update the policy at this time. They say at least parents and/or caregivers are still allowed to come on school grounds to administer. However, this belief does not work for a student with epilepsy who might need an emergency dose of their medical cannabis in the event of a seizure. By the time a parent could get to the school to administer the cannabis medicine could be too late. This is forcing some children to be home-schooled even if they want to attend their local school with neighborhood friends. Also in the case of extreme weather, some children will not get their medical cannabis dose if parents cannot make it to the school on time, thus they suffer. By having medical cannabis accessible at school in a secured lock box, it will aid a student in the case of an emergency. This call to action will send a powerful visual message with a simple green crayon to the School District Superintendent. The green represents medical cannabis. The crayon represents the students. Or email the Green Crayon Campaign logo with message to “UPDATE THE JLCDB POLICY!! !” and request a reply…. Since Jack’s Law was passed in 2016 allowing parents to bring their child’s medical cannabis on school property, no school has lost Federal Funding as a result. This campaign is about care and compassion for students who use medical cannabis as medicine and to support their desire to have an equal educational opportunity! Please share this far and wide…most importantly ACT!! !